Lying at the heart of South America, eastern Bolivia is home to some of the country’s most gorgeous landscapes and attractions. In contrast to Bolivia’s famous mountainous region — the Andes — eastern Bolivia is home to tropical climates, rain forests, and jungles. The region consists of the three departments (similar to states) of Pando, Beni, and Santa Cruz, as well as the major cities of Cobija, Trinidad, and Santa Cruz de la Sierra. At the very top of Bolivia — between Peru and Brazil — lies Pando, Bolivia’s rainiest, hottest, and most sparsely populated region. The department’s capital, Cobija, has just over 60,000 inhabitants: try to plan your trip to Cobija in August to visit their annual fair, showcasing the work of local artisans. Being so remote, Pano is home to rich, natural resources; for example, in the rainforests and lagoons of Lago Bay, which is located in the Manuripi-Heath Amazonian Wildlife National Reserve. The lake is known for its crystal-clear water, lush vegetation, and wildlife, including tigers and alligators. Despite being Bolivia’s second-largest department, Beni has the second smallest population. 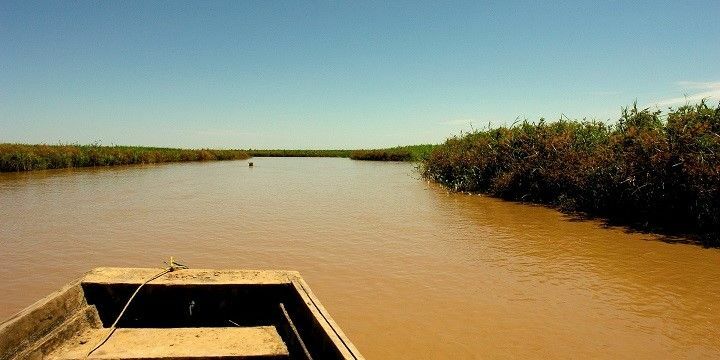 It also boasts some incredible tropical beauty: Beni is home to more lakes and rivers than any other Bolivian region, and hosts more than 400 species of fish! The Bolivian Amazon is home to incrediblelandscapes. Visit Rurrenabaque, a picturesque town located on the banks of the Beni River, which is a good starting point to explore the area’s jungles and pampas (plains). From here, you can escape into the incredible landscapes of the Bolivian Amazon, admire the rich flora and fauna, the Inca archaeological sites, and experience indigenous cultures. 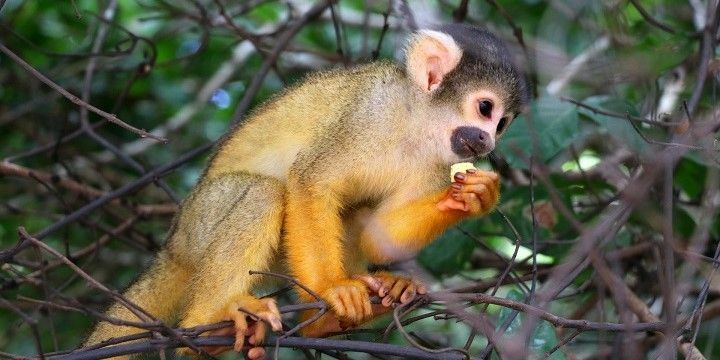 Lots of monkeys live in the Bolivian Amazon. Alternatively, check out Rurrenabaque, where you can unwind in a hand-woven hammock, hang out in local bars, or purchase some unique souvenirs. Santa Cruz is Bolivia’s largest department and its capital, Santa Cruz de la Sierra, is Bolivia’s richest city. Despite their wealth, the people of Santa Cruz are known for being very relaxed! While the city is rapidly expanding, and filled with things to do and see, you can escape it all by spending an afternoon at the main square (24 de Septiembre). There is something so comforting about watching the locals enjoy a slower pace of life, while playing chess, reading the newspaper, or getting their shoes polished. 24 de Septiembre is the main square in the city of Santa Cruz de la Sierra. If you fancy something a little more energetic, join the locals for barbecues, drinking, dancing, and other social gatherings. With new bars opening regularly, there is always something going on. Try to visit the region during carnival time (around February/March), for four days of lively parties! You’ll never be short of new places to discover in the department of Santa Cruz: start with exploring the picturesque villages just outside of Santa Cruz de la Sierra, such as Porongo and Cotoca. 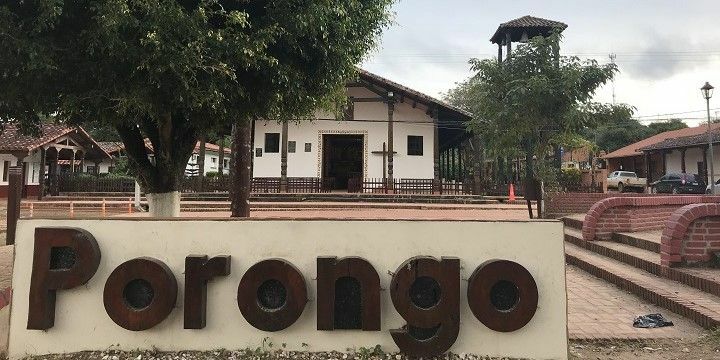 The small town of Porongo lies just outside of Santa Cruz de la Sierra. Just a couple of hours further of the thriving main city, you’ll find impressive natural beauty in the Waterfalls of Esperjillos and Jardin de las delicias, or the Amboró National Park. The latter lies at the foot of the Andes, less than 50 kilometers from the main city of Santa Cruz. It covers around 4,500 square kilometers and is home to over 900 different species of bird. In northern Santa Cruz, you’ll find the Misiones Jesuiticas (Jesuit Missions of Chiquitos), spread across several towns. 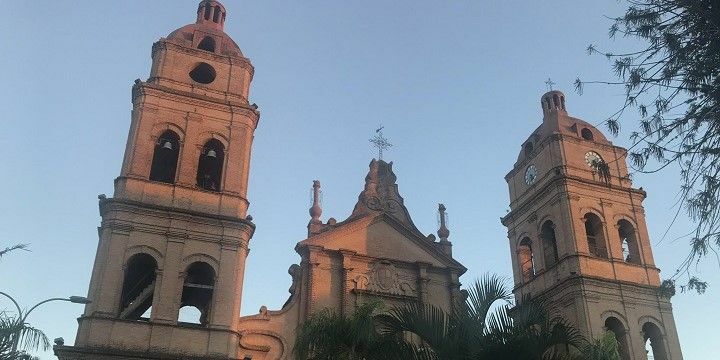 This UNESCO world heritage site features a collection of stunning 16th and 17th century churches, such as the impressive church in the small town of Concepción. If NextStop24 helped you to choose your next travel destination, we'd be very grateful if you’d search for your accommodation and things to do in Bolivia through these links. They're affiliate links, which means that we will receive a small commission for every booking made through them. There are no extra costs for you; you'll simply be helping to keep NextStop24 running. Thanks! Bolivia is such a diverse country, from the tropical region of Santa Cruz to the cities and villages nestled between the Andes. The country is rich in culture and has a lot to offer! While the country is relatively cheap, prices are raised for foreigners so be prepared to haggle with vendors. Same goes for the tours, some tours of the salt flats can get very expensive but expect to pay anywhere between $200 to $1000 USD (depending on the length of the tour). I took a tour of the Salt Flats in Uyuni and it was truly one of the most breath-taking places I have ever been!